I tried. Really I did. But I just couldn’t do it. No matter how badly I wanted to stay awake into the wee hours of the morning to finish this thriller, my eyes just wouldn’t cooperate. So I did what any self-respecting book worm would do. I reached for it as soon as I woke up the next morning and didn’t get out of bed until it was finished. In the blink of an eye, Jessica Chamberlain finds her world turned upside down. With one phone call, life as she knows it is forever changed. Even though she and Evan were separated, in her heart she always believed that eventually they’d find their way back to each other. But his unexpected death put those hopes to rest. So she tries to move on, if nothing else then for the sake of her two young sons. Something was going on with Evan, though. Something that involved their youngest son, Gabe, and his birth mother. Jessica is determined to find out what Evan was working on and how it led to his death. This book has been described as a “race to the finish” drama and that’s no lie. I honest to goodness didn’t know what was going to happen until almost the very end. Trust me, you want to read this one! Carmen is getting through the grief of losing her husband, her friend Nancy is getting over her ex-husband’s cheating ways, and the ladies are hanging out in posh Chelsea … where men seem to be popping up wherever they go. Some are eligible, some pretend to be, and some pretend NOT to be — all for the sake of love… and money. I loved the twists and turns in this romp through different levels of relationships. 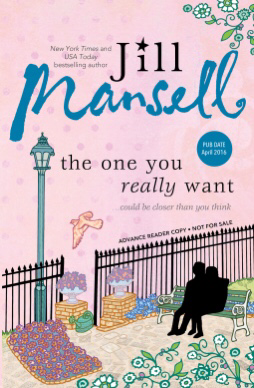 I enjoyed meeting the neighbors, the shelter folks, the gym rats, the long lost daughter… Mansell writes a fun cast of characters and dialogue that’s funny, tender, and believable. I appreciate Mansell’s talent for spinning a tale that’s pretty crazy, but just real enough that it could be true. And as always, I’m happy when the characters are happy, and sighing with joy when they live happily ever after. Three women in an L.A. suburb find themselves in the middle of some changes. Big changes. Marriage, divorce, pregnancy, death, grief, friendship, and new beginnings all play a part in this new series by one of my favorite authors. The writing is excellent, from the fleshed out characters to the descriptions of the coastal setting. Technically, everything is on point as Mallery invites us into the lives of three women of different ages, their families and friends, their businesses. But there’s something missing for me. Excitement, maybe. And I get it that lack of excitement is one of the relationship issues in the book, but the reader should still somehow be pulled into the book… And I just wasn’t. For one thing, there was a lot of “telling instead of showing” (like when one character sat across from her friend and next to her other friend and put her purse on the free chair). I liked the book enough, but I wasn’t totally invested in it. It didn’t thrill me. On the other hand, Mallery successfully shows the reader real emotions. For example, one character is mourning a loss. Brava for getting to the nitty gritty of being beside oneself with grief. The scene at Goodwill – I can picture that kind of thing because I have seen people just UNDONE like that. I’m thinking WOW as I remember reading Mallery’s take on it. And the spa scene with the possible future stepchild – realistic and full of tension. Although this particular plot was a bit of a downer for me, I enjoyed Mischief Bay and its inhabitants. I’ll be on the lookout for book number two. Aaah. The coolness of autumn, the crunch of the leaves, the brisk wind at night… It’s all preparation for winter. And winter means Christmas novels. I’ll be reading and reviewing more over the next couple of months, but here’s the first taste of Christmas, Amish-style. Beth endured verbal abuse from her first husband. When he died, she vowed to grow stronger and more independent for the sake of herself and her son. But Beth didn’t count on falling in love with mellow Tyler. He had Beth’s best interests at heart, but needed to be persistent if he wanted to gain a place in her heart. 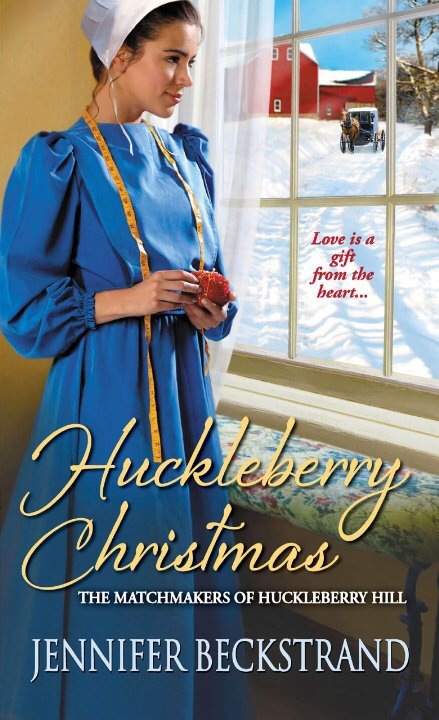 I’ve enjoyed all of Beckstrand’s Huckleberry Hill books, and I certainly loved this one. Beckstrand balances the stereotypical sober Amish lifestyle with lighthearted fun that comes from being unencumbered by modern distractions. I laughed a lot at Tyler’s facial expressions (great descriptions, because I could virtually see his face). I sympathized with Beth as she tried to decide whether to follow her head or her heart. And I rejoiced every time little Toby reached into the hearts of his mom, grandparents, and Tyler. I recommend this book as an Amish novel, a taste of Christmas, and an overall feel-good read. You’ll be uplifted, and who couldn’t use a little of that these days? !